Top lehenga shops in Delhi for Every Delhi Bride-to-Be! Top lehenga shops in Delhi, is a must-have list that for every Delhi bride-to-be. 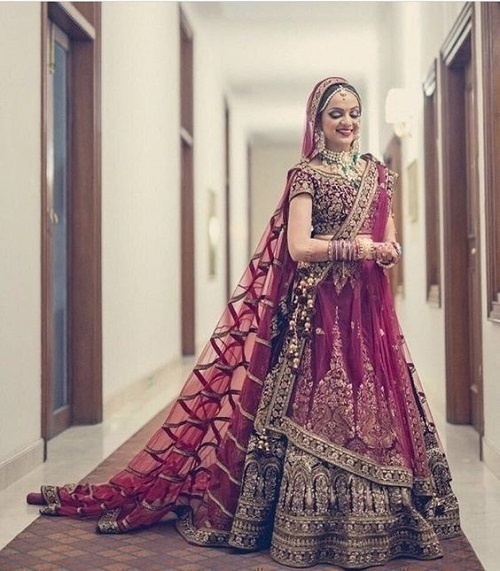 If you haven’t already decided on your wedding lehenga yet, this list of “Top lehenga shops in Delhi” will surely be something that you would like to save! "Main shaadi karungi toh sirf Kareena wala designer lehenga pehan k” rings a bell? Yes, if Alia Bhatt can have such aspirations I am sure, you too would have imagined yourself in a Ramleela lehenga worn by Deepika or Kareena’s lehenga in bole chudiya! We know that almost a fortune goes into these Manish Malhotra and Sabyasachi attires, but you can definitely look equally stunning if you buy your bridal lehenga from any of these shops that we have handpicked for you. Asiana Couture, One of the newest lehenga shops in Delhi, Asiana Couture is a go-to place for the avid shoppers. Be it custom-designed outfits, budget-friendly lehngas, or a unique piece of art, you are sure to fall in love with their creativity, they have the best lehengas in Delhi. Their intricate detailing and stunning designs create a brilliant output. With the aim to keep traditional crafts alive, they use Indian fabrics for creating their products, promoting eco-friendly fabrics and artisans. The range of Asiana Couture starts from Rs 40,000 and if you want to have the most precious one for your wedding, the price can shoot up to Rs 80,000 to Rs 5 lakhs! If you appreciate art, and simplicity is your thing, you must visit the Heritage Emporium. It has a wide range of hand bridal lehenga in Delhi and other attires, which are sure to impress you with its sophisticated style and timeless designs. It offers an assortment of ethnic attires like sarees, lehengas and salwar suits. You will find pieces that are astonishingly vibrant in colour and beauty. If you want to prepare yourself the most happening party in town, you don’t need to stress yourself by rushing around the markets, just head here. The price range here is from 3,000 to Rs 40,000 plus! Indian attires like lehenga cholis, ghagra and sarees, look finest with our Indian curves and portray magnificence at its best. Sahil Fashion Bazar brings to you an unmatched collection of sarees and ghagras, and you will be in complete awe of their designs. Before you think of hitting the markets for a lehenga matching the grandeur of your wedding event, check other wedding lehenga shops, head here. It has the hues and designs of perfect bridal lehenga in Delhi with the right blend of fabric and embroidery. Sahil Fashion Bazar has an ethereal collection of lehengas, suits and more for every occasion - from engagement to the wedding. They believe in making every occasion a special one with their gorgeous designs and include designer dresses and other essentials in their collection. The price range here is from 10,000 to Rs 1.5 lacs and above. Another great wedding lehenga shop, Libas, is the place you should head if you want to look and feel like a fashion diva. They have unique creations that you are sure going to fall for. The prices range from Rs 10,000 to Rs 45,000 and the designs are worth every penny. Appealing designs and superior quality of materials is everything that one wants. They have an assortment of bridal lehengas in various ranges to suit every bride. Gear up for any festive season with the large collection of ethnic sets available at Libas. A perfect place for ethnic wear and for bringing forth your individuality, Sehej Swadeshi has one of the most eye-catching showrooms in Rajouri Garden Market. 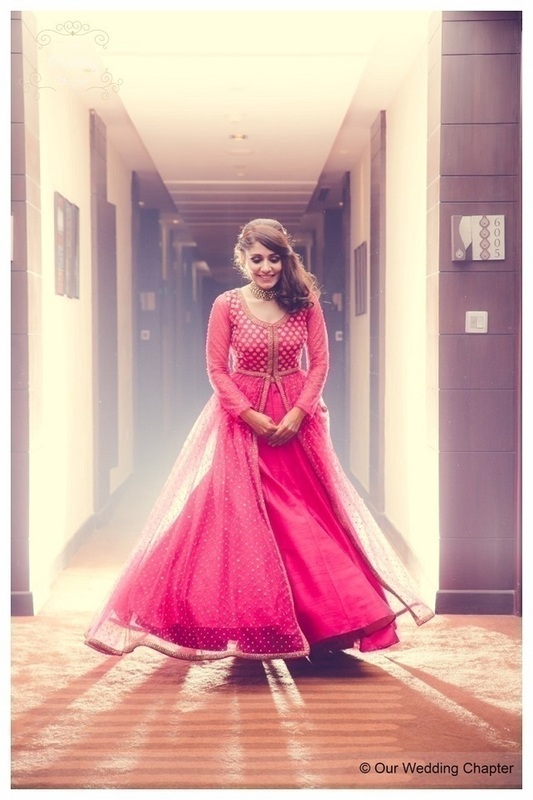 Their collection of bridal lehengas are just the best and appeals to every bride. 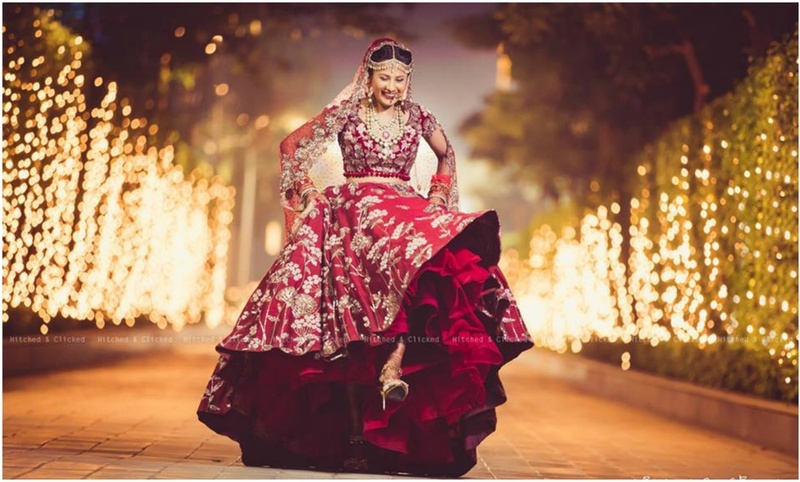 If you want to look and feel like a fashion diva, this is the best wedding lehenga shop you should head at, as it has all the latest trending designs, which you would have always desired to possess. The price ranges from Rs 10000 to Rs 75000. The first on every Delhi girl’s list for bridal shopping, Frontier Raas is one of those wedding lehenga shops in Delhi that has bridal gowns to wedding lehengas everything at one place. With intricate work and stunning designs, Frontier Raas has it all to impress every bride! You can also choose their bridal gowns for your pre and post wedding ceremonies. They have multiple stores across the city, so go ahead and choose the one closest to you. You can get lehengas from 30,000 and can shoot up to 5 lacs!! Dolly Jhunjhunwala, a painter and architect, took to designing clothes a few years ago and came up with Rewaz by Dolly J. She is always on the lookout for new weaves and texturing on fabrics and combines these with traditional prints and embroidery to create unique things. She is also a member of the FDCI and with her expertise; your bridal lehenga shopping in Delhi will be a successful affair. This wedding lehenga shop, Rewaz, specialises in providing its customers with designer clothes for women. All lehenga choli sets are classy and elegant outfits that have been specially crafted for the woman of today. Taking into account the preference and charisma of the Indian woman, Rewaz brings to you outfits that are surely going to adorn you. The simple ones are priced around Rs. 30,000 and you can get the nice ones at around Rs. 60,000. Handcrafted and handwoven sarees are the speciality of Ekaya and you can never go wrong with their gorgeous drape. Ekaya also has stunning Benarasi bridal lehengas for the brides who would like to go with the trend. Ekaya offers a wide range of ethnic wear to their valued customers. These are made of a supreme quality, matching the latest trends. They have lehengas prices Rs 65,000 and the heavy ones can cost you around 105 lacs. They also have an online presence check them out whenever you want. One of the best bridal lehenga shops in Delhi Chandni Chowk, this traditional store has some of the best wedding lehengas which will easily fit into your budget. Many brides have found their dream lehenga at Om Prakash Jawaharlal, which promises to spoil you with the choice. Offering the best in ethnic wear with attractive designs, you will find the perfect pick that you were always looking for. It offers sarees, ghagras and lehengas from bridal wear to party wear. You will get a huge variety of designs, patterns and hues. he lehengas start from Rs 40000 and can go up to 4-5 lacs! If you are yet to decide on exactly what you want for the big day, CTC Plaza can present you with an array of choices to help you decide. They have a diverse range of bridal wear which will surely make your job easier. Though there is a lot of experimenting with the pattern of the lehengas and sarees, the traditional ones still hold a place of their own. You cannot resist buying one from the unique and exclusive collection here. The bridal wear available here ranges from Rs. 50,000 to Rs. 2 lakhs or more. We hope that by now you have already figured out the wedding lehenga shop in your vicinity which you would like to visit soon. So head out & go get your dream lehenga that too, in your budget!